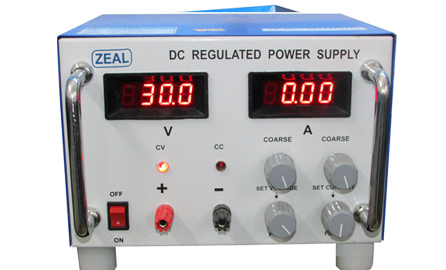 ZEAL make DC Regulated Power Supply 30V/100A is widely used in various industries, laboratories, research & educational institutes. 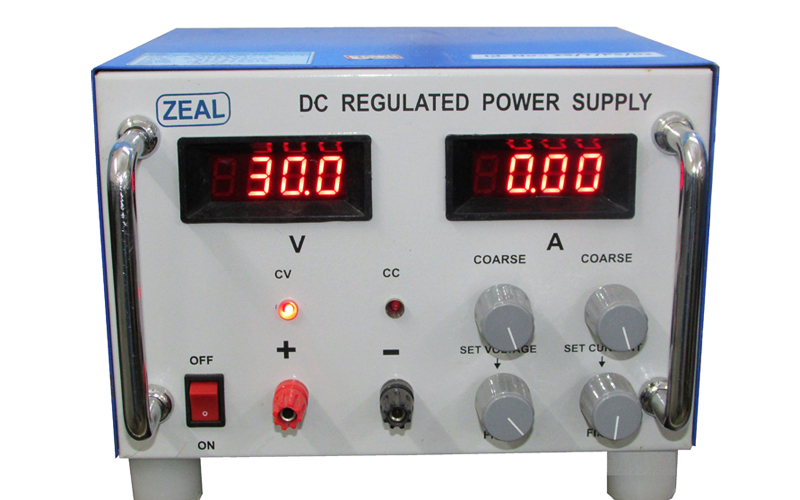 While ZEAL makes Low, Medium and High-voltage DC regulated Power supplies, this is a case of a high current power supply. It is cost effective, highly reliable in performance for long life. AC mains voltage is rectified, filtered and pre-regulated by thyristor and post regulated by power transistors. Our designs are linear and hence our power supplies don’t cause electromagnetic noise. Apart from an excellent load and line regulation, they are provided with overload and short circuit protections. Power supply can be used in both CV and CC modes. Line Regulation : 0.1% for input variation of 230VAC ±10%. Load Regulation : 0.1% form zero load to full load. Ripple & Noise : 0.1% Vrms Max. Controls Voltage & Current setting by coarse & fine potentiometers. Metering 3½ digit 7 segment display to indicate Voltage& Current for separate channel. Line Regulation: 0.05% for input variation of 230VAC ±10%. Load Regulation: 0.05% form zero load to full load. Ripple & Noise: 0.05% Vrms Max. 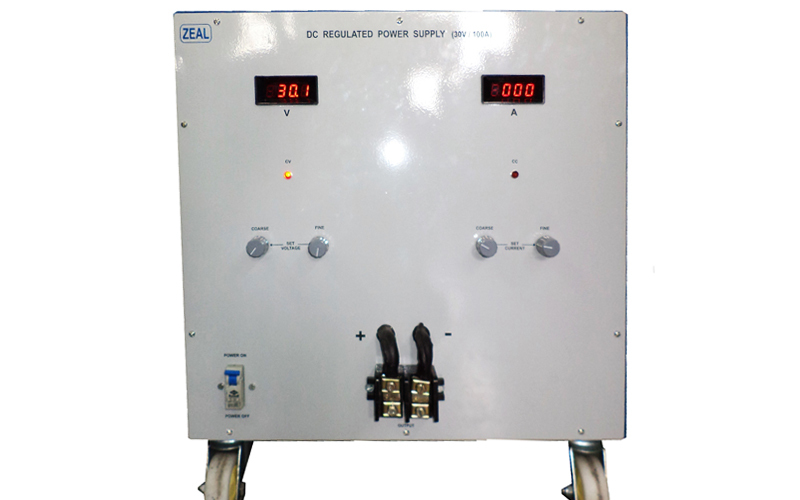 Note : High Voltage & Haigh Current range can be customized as per requirements.